All of our boats adhere to the highest international safety standards. Currently we are operating four passenger boats. 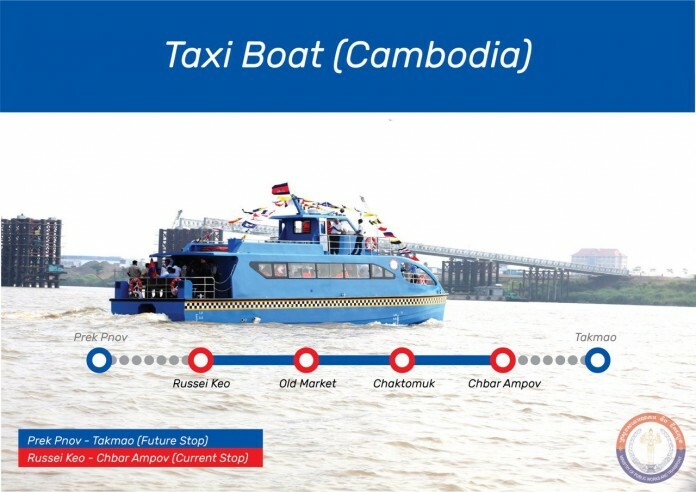 The boats operate on a schedule between Prek Pnov - Phnom Penh – Takhmao. It takes 3 minutes to 10 minutes from one station to another and the boat stops for 10 minutes for boarding. These passenger taxi boats have an average speed of 40 km per hour. It takes approximately 45 minutes from end to end and runs from 5.30am to 5.30pm, 7 days a week. This taxi boat service is free to citizens until August 2, 2018.